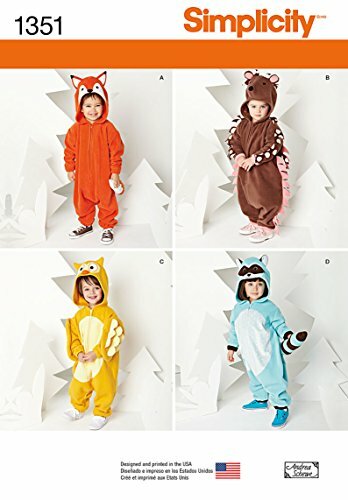 Cozy and cuddly animal onesies for toddlers. Pattern options includes a sloth, koala, and kangaroo with a baby plushie. Fleece and minky fleece are suggested fabrics. Simplicity sewing pattern. 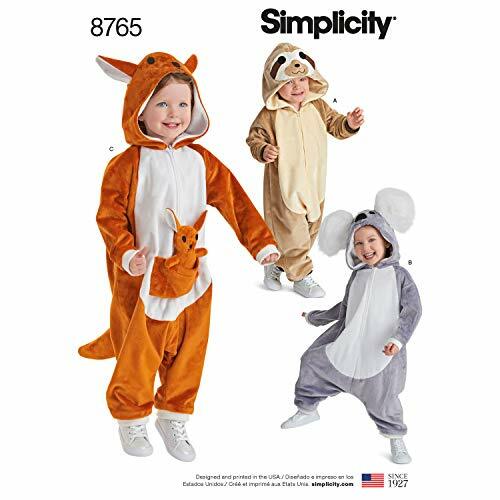 These fleece zip up animal costumes for toddlers are adorable, comfortable and perfect for a long day of trick-or-treating. Animals included in this pattern are a fox, hedge hog, owl and raccoon. 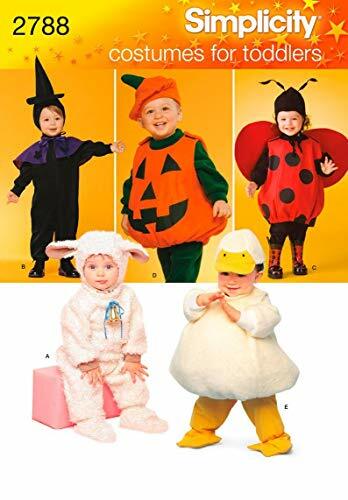 Toddler Lamb, Chick, Witch, Pumpkin and Ladybug costumes Simplicity sewing pattern 2788, part of Simplicity Autumn 2008 collection. Pattern for 5 looks. 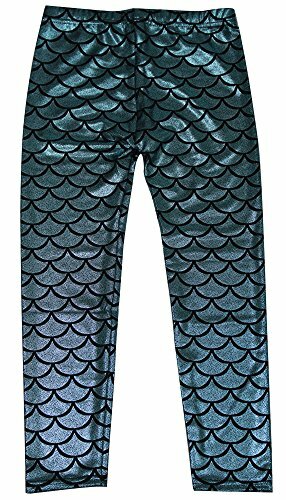 For sizes A (1/2-1-2-3-4). Simplicity 2066 : Precious Pattern babies' bib costume sewing pattern. Looks included: 6. OS (One Size). 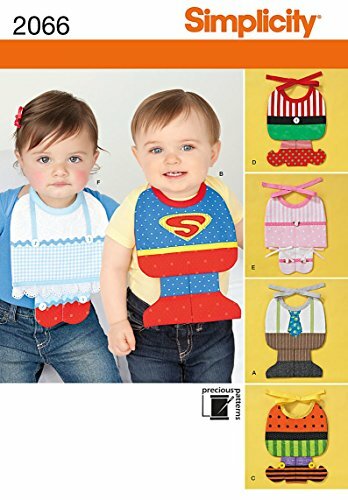 Funny bibs shaped like a suit, ballerina, witch, and superhero. Baby costumes. 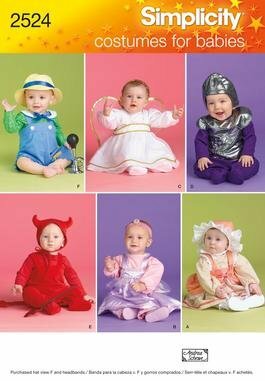 Sewing patterns for baby including fairy, devil, knight, angel style costumes. 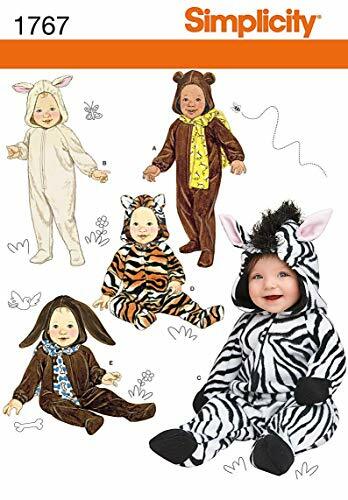 Babies' one-piece hooded animal costumes in five different styles including bear, lamb, zebra, cat and dog. Bear and dog include matching scarf. Simplicity costume pattern. 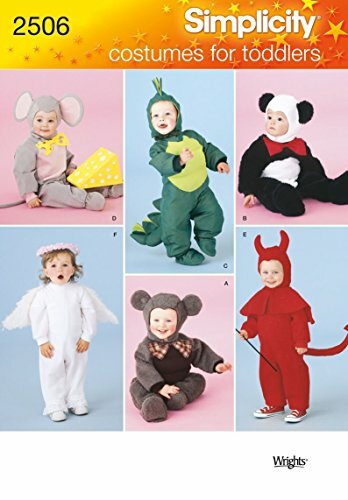 Toddlers' animal costumes, including toddler mouse costume, devil, dragon, angel, bear sewing patterns Simplicity sewing pattern 2506, part of Simplicity Autumn 2009 collection. Pattern for 6 looks. For sizes A (1/2-1-2-3-4).